GCVA member Larry Riches recently drove his 1914 Ford model T from Lisbon, Portugal to Lincoln UK via London with the aim of raising £10,000 for Prostate Cancer UK. The trip went very well and the amount raised totaled £11,290.03. A very worthy effort. 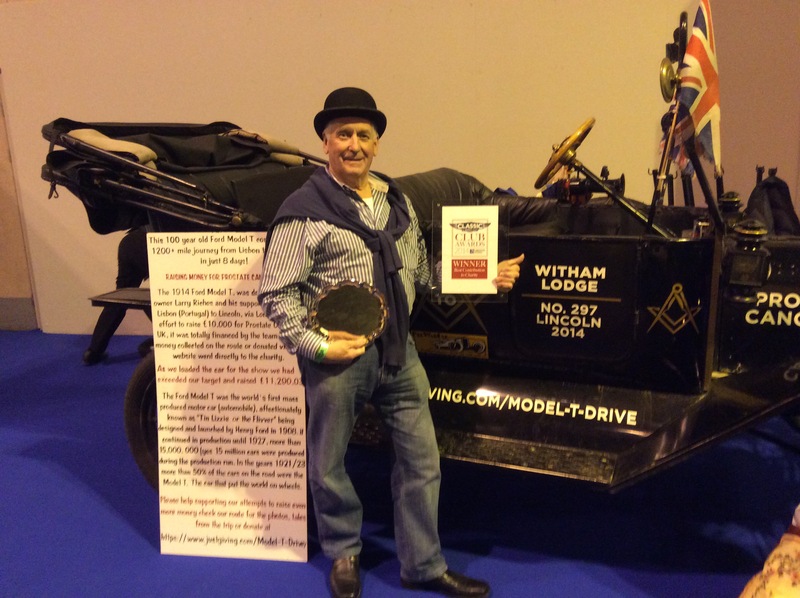 The Birmingham Classic Car Show took place at the NEC on the 14th, 15th and 16th and Larry had a stand at the show exhibiting his model T and also his 1903 Oldsmobile with tiller steering which he recently drove in the London to Brighton Veteran Car Run. After the three days at the car show Larry had increased the contributions to prostrate cancer to a total of £11,864.54. Many thanks to Larry for his dedication and hard work.